A few weeks ago I was at the European Waldorf Seminar. it is a fantastic event for doll lovers held every other year. 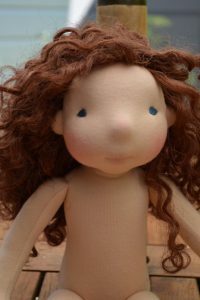 More than a hundred doll makers and doll lovers gathered at a small town in the Netherlands called Elspeet to follow workshops, talk about dolls and make new friends. 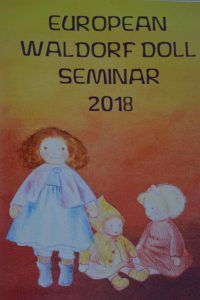 This event was organised by Kamrin and Berend from Kamrin’s Poppenatelier and they managed to get a group together of very talented doll makers from all over the world, who gave workshops in doll making, wig making, stuffing and sculpting dolls and much more. For me it was a dream come true. I took a class with the very talented Fabiola from Fig an Me, who’s dolls I have been admiring for a long time. To finally meet her in person and to learn all her magic tricks was so inspiring. Her hands can make magic, and it looks so easy when she shows you a new technique but let me tell you it very hard when you try yourself. I have made quite a few dolls in the traditional Waldorf style but have learned so many new techniques and different ways of making a doll. 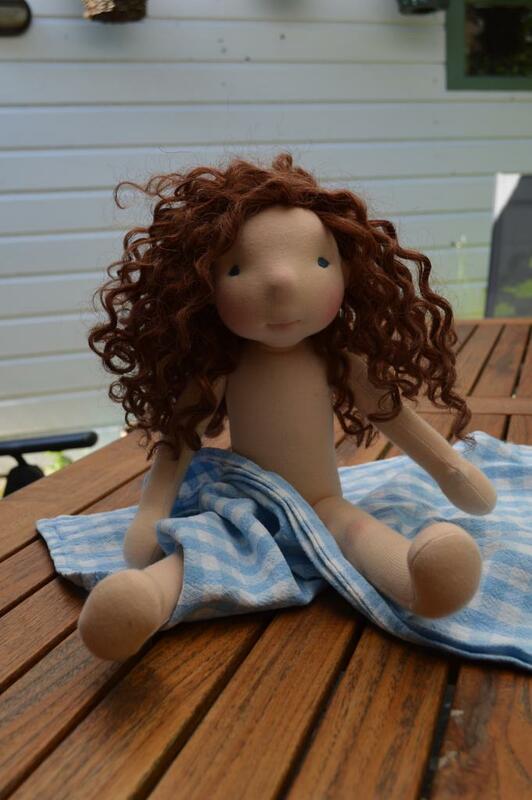 I also met some lovely new friends who share the same passion of dolls and doll making. 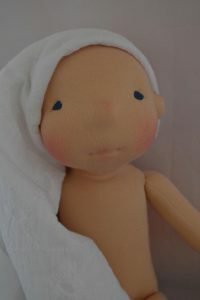 We were very busy and I totally forgot to take any pictures of the class, but I will share some pictures of the doll I made. 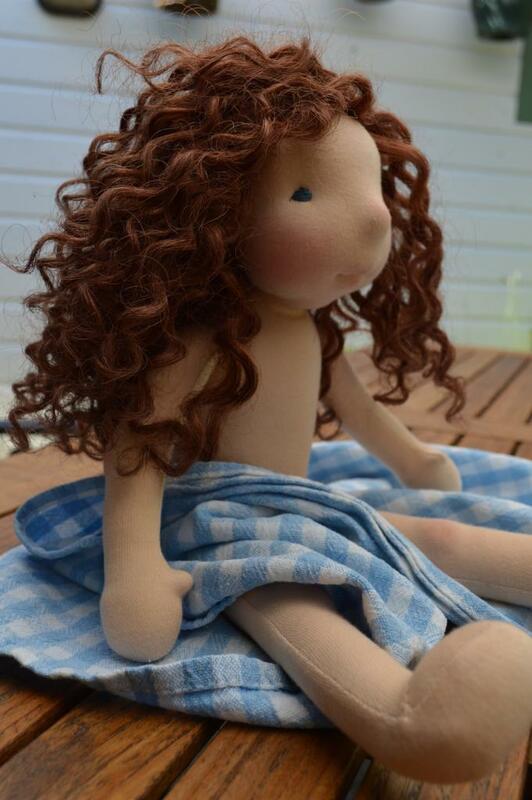 I did not quite finish her during the workshop and tried different types of hair on her when I was home and decided to give her a curly mohair weft wig. I named her Ella and I am already dreaming of some nice clothes I will make for her. All participants of the Seminar were invited to bring a small present, this could be anything a doll maker would love, a handmade gift, a nice fabric or some vintage lace or a tool you love to use. All the gifts were put in a big bag and everyone who brought a gift could also get one in return. 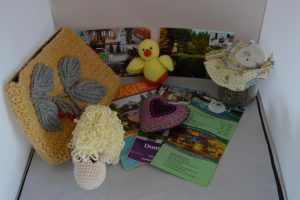 I got a wonderful gift, with handmade crochet animals a lovely bag and Lavender from Monika from Hungary. This gift was put together with so much love and an eye for detail. Thank you so much Monika ! Because I live quite close to Elspeet I did not stay overnight at the Hotel and was not at the exchange of gifts, to thank Monika in person, so I hopefully she will see this post and know that her gift is much loved ! Thank you Kamrin en Berend for organising this big event and thank you dollmakers and teachers who flew in from all over the world to make this event possible.